I’m hoping I’m not weird. Well, at least not that weird. To me, Allnic is that Korean company that makes seriously well respected valve phono stages. I was dimly aware that the company also made valve amplifiers and guessed that it might also make headphone amps, but cables? That one blind-sided me. In fact, the reason for this Mu/ZL naming is all down to the company’s ‘Zero Loss’ Technology. This is Allnic Audio’s own concept, claimed to limit signal losses through audio cables by minimising linkage, contact, and wire resistance effects. Actually, this is three separate methodologies joined together in making better wire. So, to reduce linkage resistance, Allnic eschews the regular solder and instead uses 1,000°C hot-melt welding between cable terminations and wire. This also means no more poorly screwed down terminal housings. 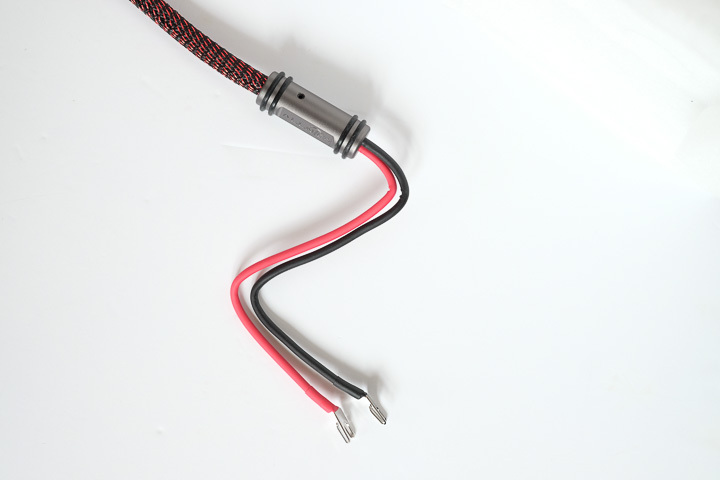 Contact resistance is reduced by using three separate but proprietary methods, one for analogue and digital interconnects, one for speaker cables, and one for power cords. Allnic also uses heat treatment for longer contact pressure and uses ‘patented’ double blade spade speaker terminals. Every XLR and RCA terminal is split for maximum cable contact. The wire resistance optimisation technique is a little more down-to-earth. It involved a lot of listening sessions and finding the best possible thickness of wire for each conductor. Perhaps the most interesting part of the Allnic cable design is the use of Mu-metal shielding. Other audio cable manufacturers tend to use copper or silver shields for signal cables. These are effective only for electric noise, not for magnetic interference. Allnic uses Mu-metal as a braided shield in its interconnect cables (both RCA and XLR), which protects the signal from both kinds of noise. Allnic claims this as a world-first in audio. It seems no company can resist a good acronym today and Allnic is no exception, as it uses its MRCT, or ‘Mid-Range Control Technology’. Allnic contends that a forward-sounding midrange is the most formidable obstacle for harmonious signal transfer. Allnic’s MRCT uses metal plating along the length of the cable for what Allnic calls ‘slight midrange braking’, thick-gauge wire for low frequencies, and additional capacitance for more accurate high frequencies.